condo is located on the fourth floor. Complex is beachfront and has Pool. Other things to do nearby are golf,surfing, parasailing, jet skiing, water skiing, boating, sailing, water parks, miniature golf,fishing, shopping at the Silver Sands Factory Stores, and many fine restaurants nearby. 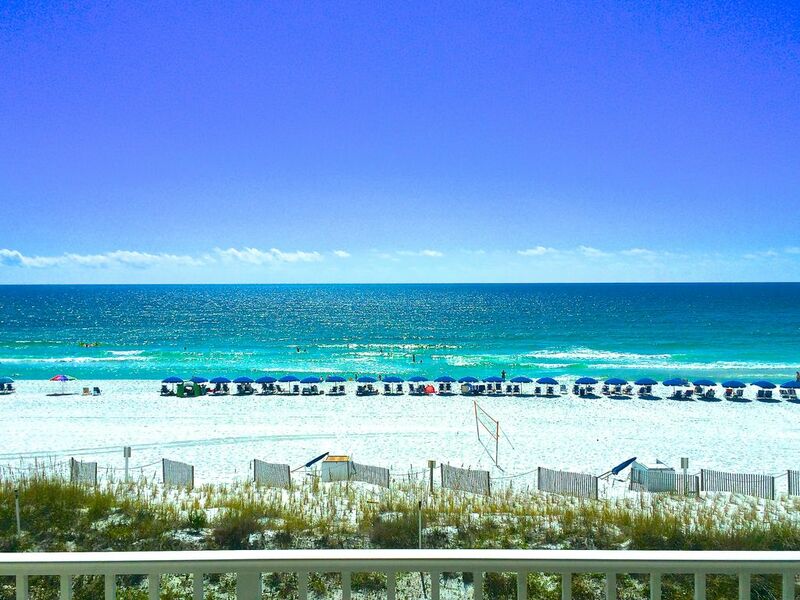 Come and have a great time in Destin!!!!! Okaloosa County also has a free shuttle which travels to Destin and Ft. Walton for your convenience. This condo had everything needed. The view was great, the kitchen had everything you needed. The beach service was a plus. I would definitely stay here again. Nice location, nice condo, and a good price. This unit is very nice. Well kept and furnished. Location in building is nice too, as you're a bit off to the side, so not bothered as much by the noise and lights from the pool. View from the balcony is wonderful. This was our first time staying in the Okaloosa Island area, and we enjoyed it quite a bit. The property manager is also very friendly, and responded promptly to any questions we had. Perfect for a week! Everything we needed! Has everything we need. Good location, great beach service. Kitchen, coffee pot, laundry in the unit, tv with good service, comfortable couches. Nice 2 bedroom setup. My friends and I had just a perfect time. This condo was very nice. gulfarium, and many fine restaurants and clubs. Come and enjoy!!! Also near the new conference center in Ft. Walton Beach.